When I was on the computer the other day, Misha kept bugging me. 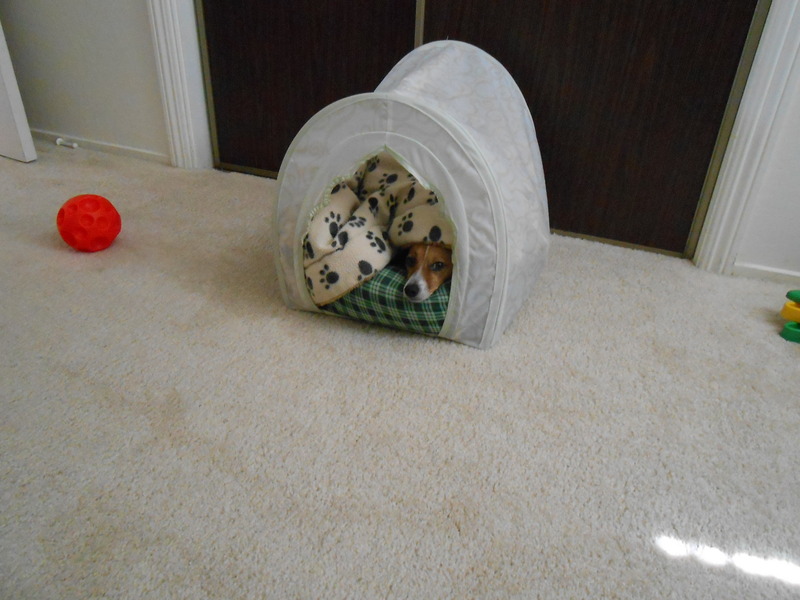 I brought her tent into the room so I could get some work done. About 5 minutes after she climbed under her blankets, I heard a small whine. I turned around and this was what was staring at me. It’s really hard to keep from laughing when there is a Jack Russell in the house.